Congratulations to Kate Hague, giveaway winner! Look for another paper jewelry giveaway that will launch 4/30/18 on the blog and Instagram. 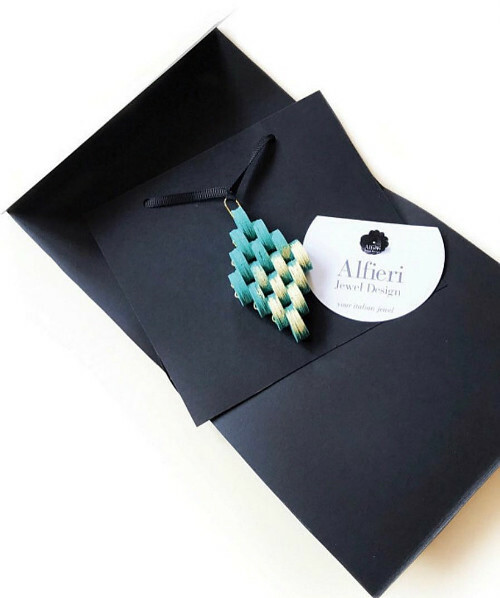 Verde Alfieri, jewelry designer and owner of Alfieri Jewel Design based in Milan, Italy, makes contemporary necklaces, earrings, and bracelets using beautiful paper and high quality findings. At times she upcycles old book pages into wearable art. 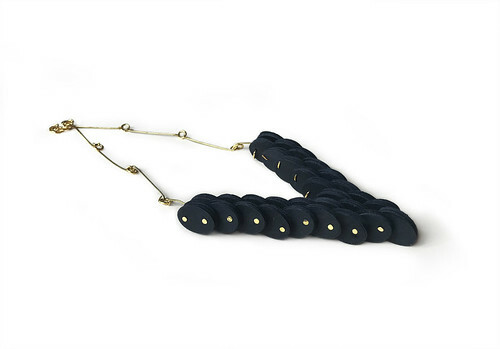 I'm admiring the undulating curves of this sophisticated necklace. It's doubtful anyone would guess the subtle specks are achieved due to printed text. 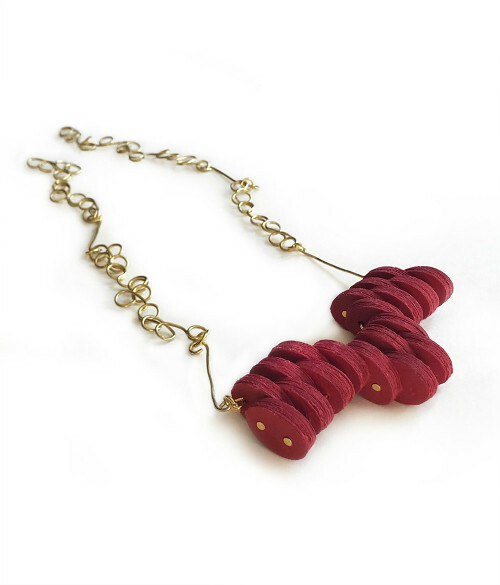 After working as a graphic designer and artist for many years, Verde evolved her creative soul by beginning to create statement jewelry. 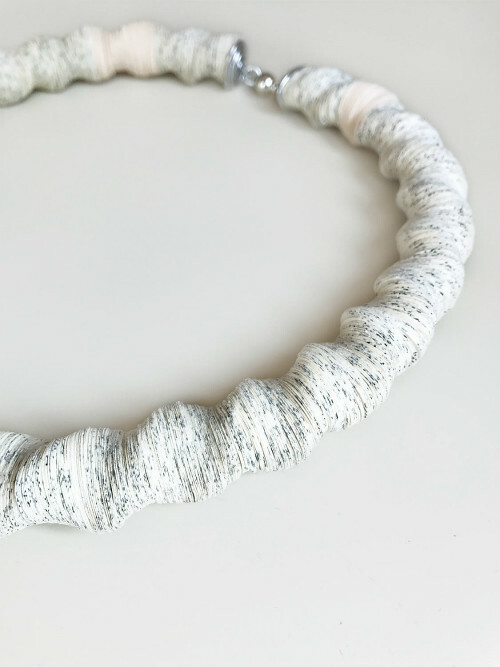 Via a passion for design, she uses a variety of materials to achieve a signature look of casual elegance, such as this knotted necklace composed of hundreds of paper discs separated by glass beads. It closes with a magnetic clasp. One of Verde's most appreciated collections is Labirinti, handmade with fine papers from Italian and American producers. Her goal is to create glamorous pieces for people who are drawn to unique jewels, with the style, beauty and care for which Italians are famous all over the world. 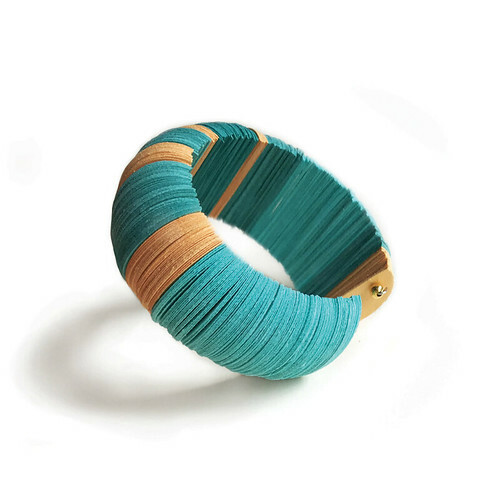 Verde says, All of the paper is cut by hand, not industrially, as this gives it a particular visual and tactile feature that makes the jewelry unique and inimitable, increasing its beauty, preciousness and value. My newest paper jewelry collection is realized with innovative geometric designs never seen before. And now the international giveaway! One winner will receive a $75 gift certificate to spend at Alfieri Jewel Design. International shipping is included. This same giveaway is underway on Instagram. Enter at one or both places by the end of Saturday, April 28, 2018 to double your chances. One winner from all entries will be chosen via a random number generator, contacted, and announced at the top of this blog post and on the Instagram giveaway photo. Good luck! 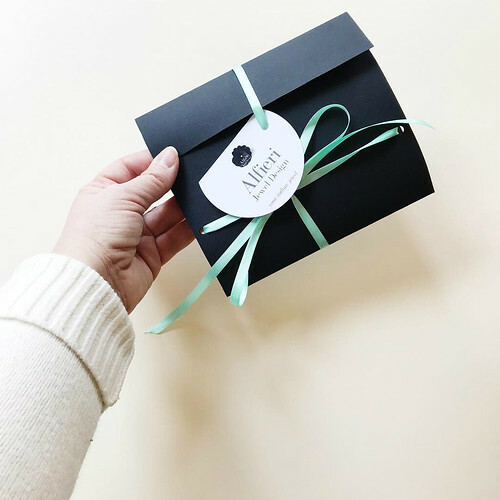 Connect with Verde of Alfieri Jewel Design via Instagram, Twitter, Pinterest, and Facebook. And don't forget - Mother's Day is May 13! This giveaway is sponsored by Alfieri Jewel Design. Definitely statement-making are all the choices. 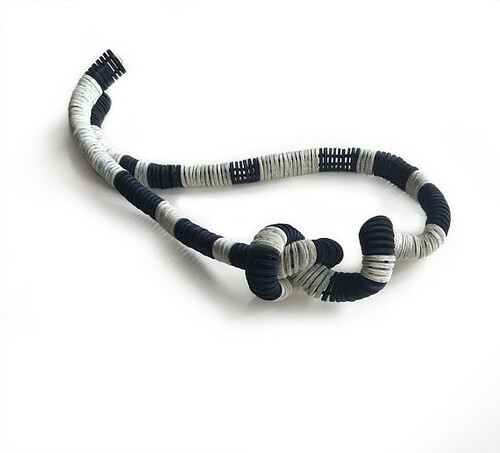 The necklace with knot (black, white, grey) is particularly unique. 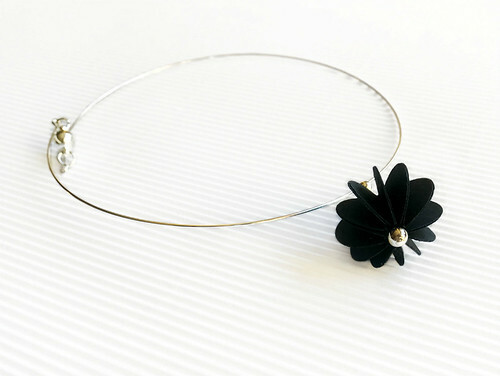 I really like the necklace with the single black flower, although I didn't see that one on the website. Of the ones that are there, I have to go with the turquoise pendant-at first I thought it was quilling! My favorite is the turquoise paper pendant with gold powder! Thanks for this opportunity to win! Mkschnaible at hotmail dot com. Simply amazing pieces. Love the turquoise necklace!! I love the red paper necklace, the one with the big knot. They are all so fun to look at! Great designs. Janine.rudnick@gmail.com.